I’ve recently learned about Ties That Matter which is a ‘zero waste company’. 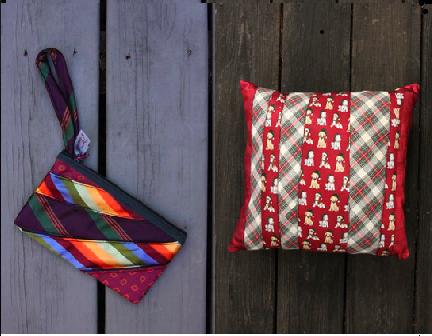 The company uses donated recycled neckties to create functional art including handbags, totebags, diaper bags, reusable grocery bags and pillows. They even stuff their pillows with leftover fabric scraps. Their good work does not stop there!! …they also engage women in Atlanta refugee and outreach centers and contribute a percentage of their profits to the homeless. If you have a special tie in your life that you would like to see incorporated into a bag or pillow, get in touch with Ties That Matter. They are happy to accommodate custom work. They also will happily take donations of your old recycled ties.